No matter what your home’s problem, we can recommend a solution tailored to your budget. We invite you to either stop by our Idea Showroom, or at your convenience, we'll come to your home to share some ideas. Double hung windows come with a double sash, an upper and lower one, both of which function independently. The movable sashes shift up and down with balancing devices supporting their movement. The balancing devices are usually suspended by ropes, chains and other devices. As the weight of the sash is counter balanced by the weights of the balancing devices, the window sets open at any possible position in you South Coatesville home. Besides providing entry, a door provides aesthetics and security and protection against the elements. Windows Plus can replace your old South Coatesville doors with new energy saving doors that will increase the beauty and security of your South Coatesville home. Our experienced consultants can show you many styles of doors, from entry to sliding patio, and our trained and experienced craftsmen can provide the high quality installation your South Coatesville home deserves. Many of us don’t pay too much attention to how windows open unless we are either trying (without success) to open one or we are thinking about installing South Coatesville replacement windows in a home. "Well, we were a hard sell but in the end you got the job and more than met our expectations. 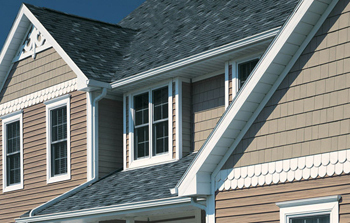 It is rare to have a large home improvement job like ours (siding, windows, roof and gutters) go so smoothly from beginning to end and we are so very happy. Our home looks gorgeous and the neighbors are jealous! We initially had about 8 salesmen come to our home in the spring and we had a number of criteria we were looking for. It took us a long time to narrow the companies down and Ed remained patient. ln the end WindowsPlus came out on top. Ed, you answered every email and phone call with patience and professionalism and gave us fantastic before and after pictures to look at of other jobs. Thank you for providing us with references of recent jobs which we followed up on, receiving good reviews. John did a great job representing your services and your company. He was my favorite salesman, very professional, and never pushy. Your office staff was always available and after hours someone was always on call to take our messages. I never once called or took a call from Debbie that left me feeling like a number or like I was an inconvenience to her day. Your work crews more than met our expectations and took pride in their work and were hard-working. The roofing crew worked quickly and efficiently and a normally nasty clean-up was handled throughout the day and not as an afterthought. The window installer did a beautiful job and put everything back as he found it. Pavel and his partner were here the longest, working on our siding and it was obvious Pavel cared very much about doing his best work for us and always answered any questions we had as the work was being done. Both of them worked extremely hard and cleaned up each day. Thanks guys! Our home not only looks great but we are already feeling the difference in our heating and street traffic isn't as noisy. 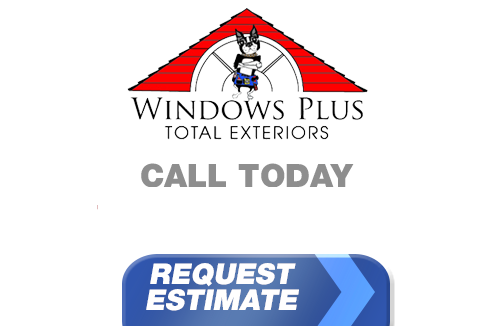 Thank you WINDOWSPLUS, for making our home a beautiful place to pull into everydayl"
If you live in South Coatesville and you're looking for professionally installed Replacement Windows, Doors, Vinyl Siding or a great Roofing Contractor, call Windows Plus today at 610-572-4733 or complete our online request form.